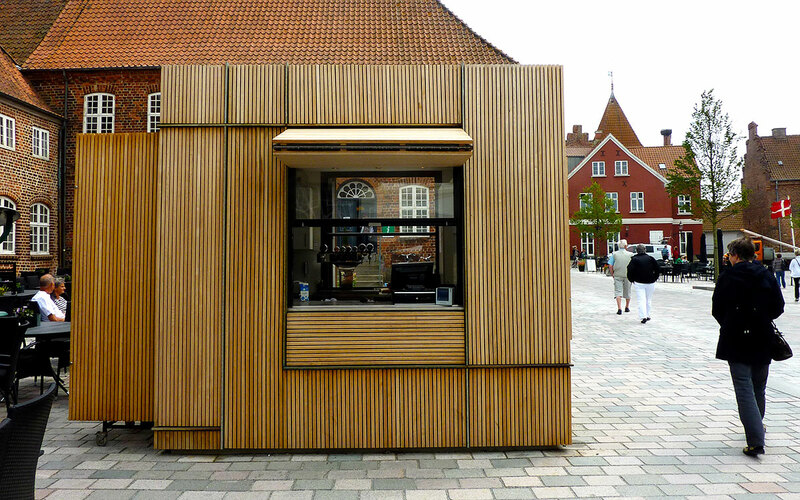 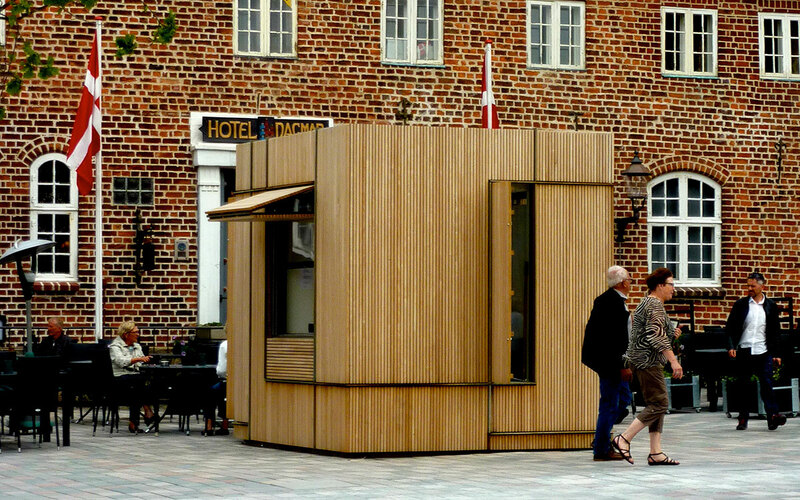 Schønherr Architects designed the project for a complete modernization and improvement of the Cathedral Square in Ribe. 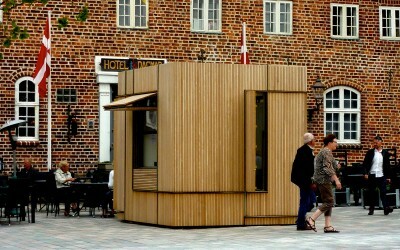 The project was financed by the City of Esbjerg and Realdania. The ice cream hut on the square is equipped with a horizontal folding shutter on one side – and a vertical folding shutter on the opposite side. 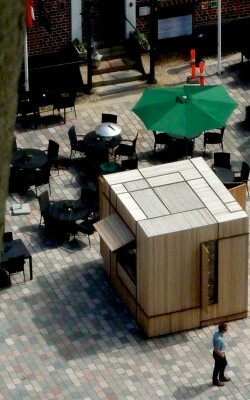 The two folding shutters serve as screening, but they are also used for closing and locking of the icehouse. The drive systems for the two motorized folding shutters were developed and supplied by Art Andersen.